It’s taken me a while to get here but I’m almost ready to launch my Enduring Love collection. 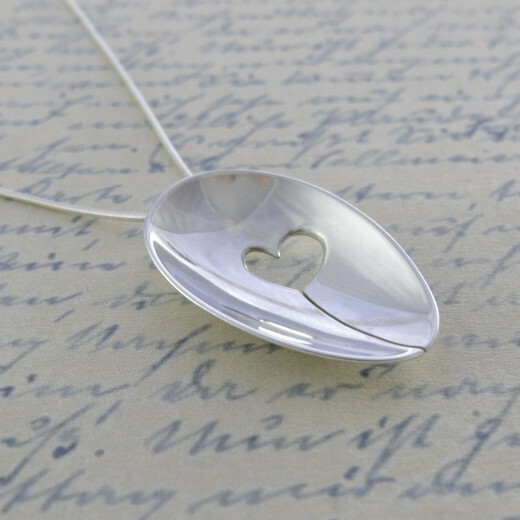 This is a collection of jewellery made from the bowls of antique silver spoons. It began several years ago with just a few pendants and earrings to match, but it’s grown over the past year to include brooches, neclets, rings and a few different types of earrings. I’m really pleased with the progress and currently photographing the individual pieces so that I can add them to my online shop this weekend. These come in all UK ring sizes. 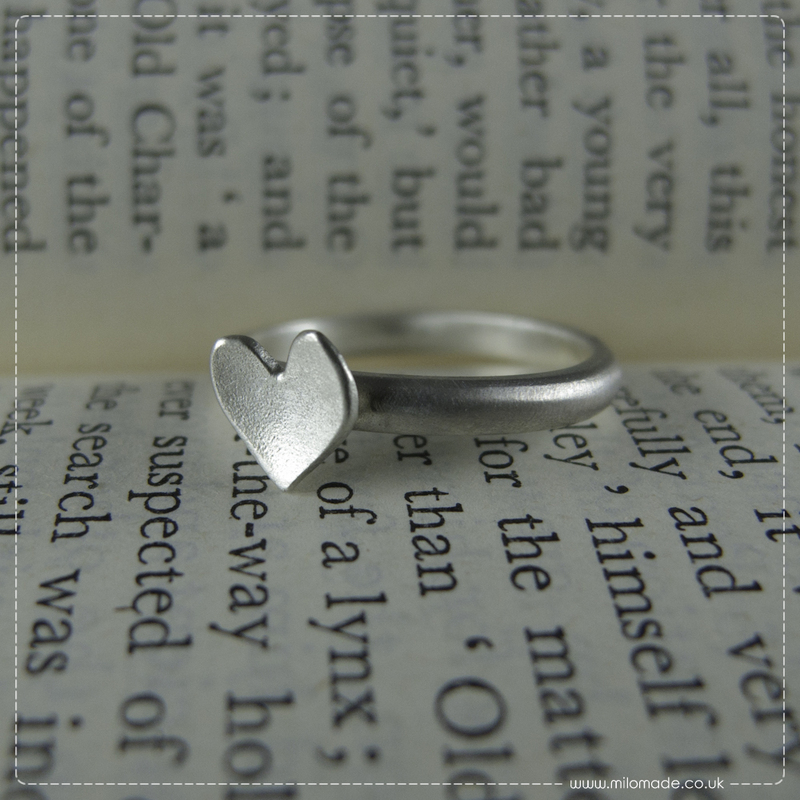 Made using the hearts cut from the spoons bowls that make other items in this collection, these beautiful rings are all totally unique. 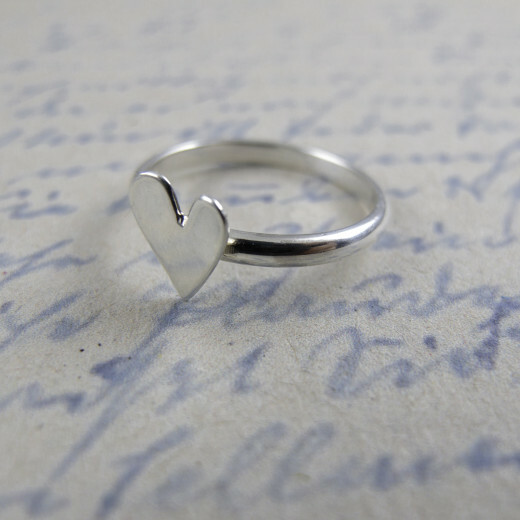 The individual hearts are combined with simple elegant rings made with Eco Silver ‘D’ shaped wire and are available in a frosted or mirror finish with hearts of all different sizes. 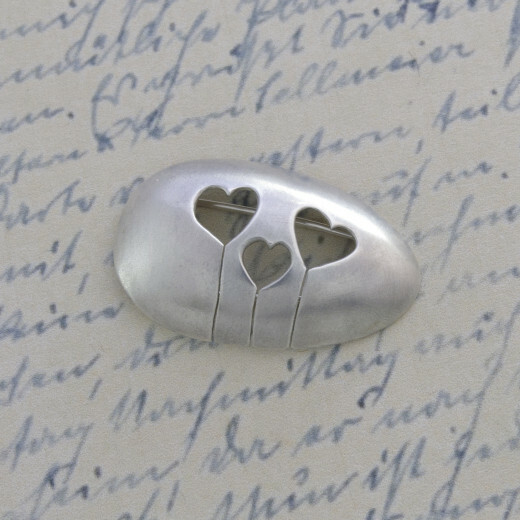 These brooches feature three little hearts and as these are all individually hand pierced with a jewellers saw, you’re guaranteed to get a piece of jewellery that is totally unique to you. 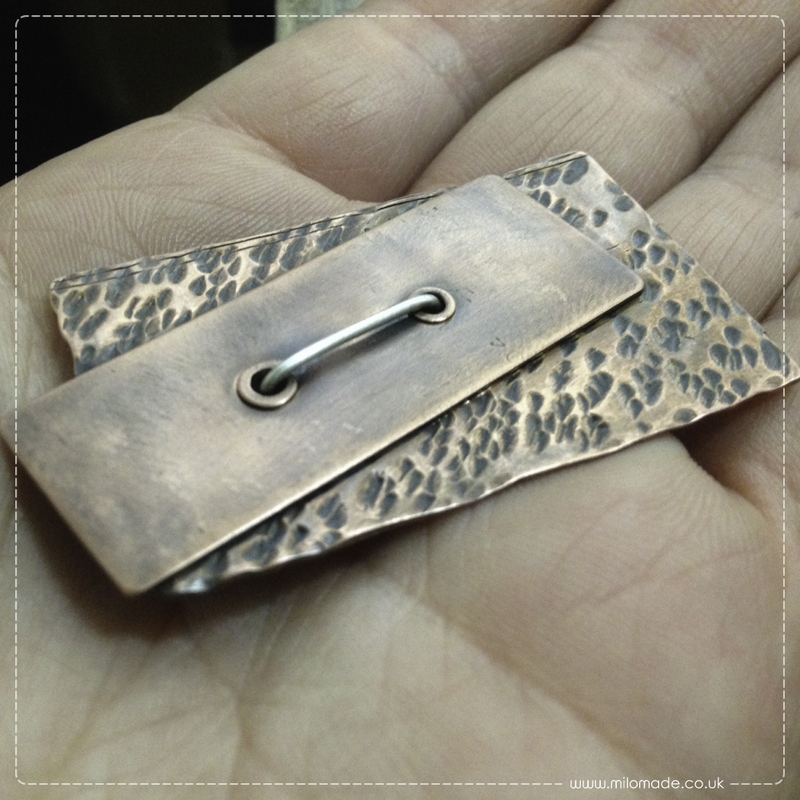 Available in a frosted or mirror finish with a double pin brooch fastening at the back. 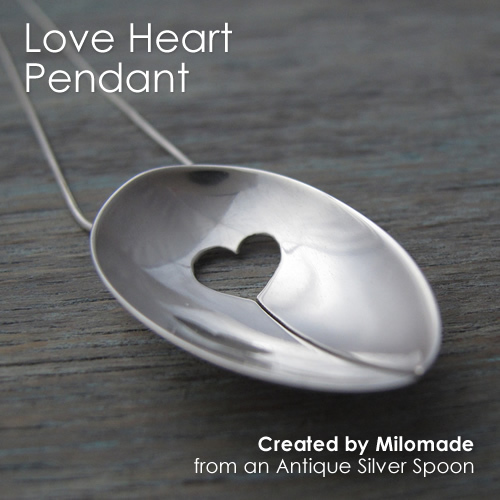 Available in a frosted or mirror finish you can choose pendants with either a one heart or two heart design. Individually hand pierced with a jewellers saw, these pendants are all totally unique and hang from a delicate baby snake chain measuring 40cm. 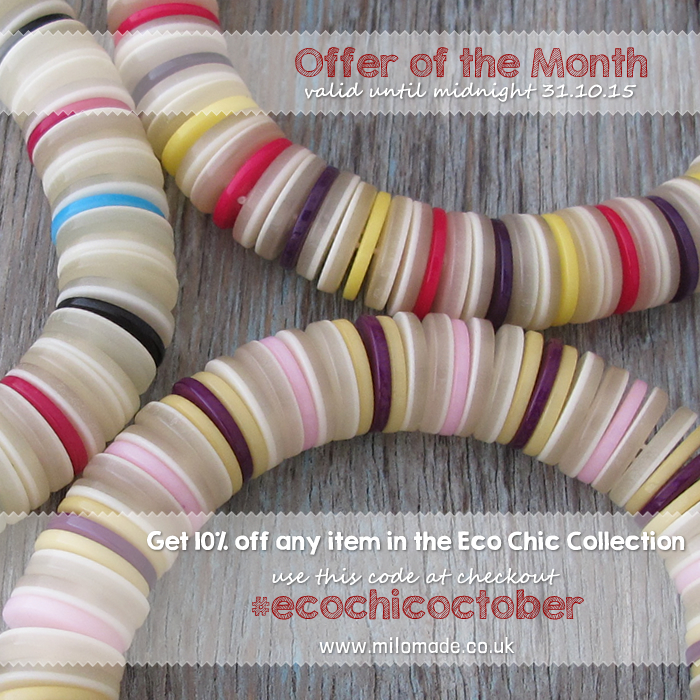 Available in a frosted or mirror finish these necklets are very similar to the brooches in this collection. However unlike the brooches which are open, these chokers have a solid silver back and the hollow interior is given an antique black patina. They are hung on 40cm sterling silver cable necklets with bayonet clasps. Images of the earrings available in this collection are coming shortly and I will add them to this post once they’ve been edited. This is one of the jewellery collections I’ll be taking to the British Craft Trade Fair in April. I’d love your opinions, so please post your comments below and let me know what you think – have you got a favourite piece so far? Happy to take pre-orders for Valentines day, so contact me with your requirements/questions ASAP. I have a few items already in stock, but can make to order. All deliveries are shipped by Next Day Special Delivery so you’re guranteed to get any orders the following day if you place an order Monday to Thursday. Friday orders will arrive on Mondays and weekend orders on a Tuesday. This entry was posted in News & Events and tagged Antique Silverware, BCTF, Enduring Love, Jewellery, Photography, Recycled Silver, Silver, Valentines Gift. Gorgeous work. 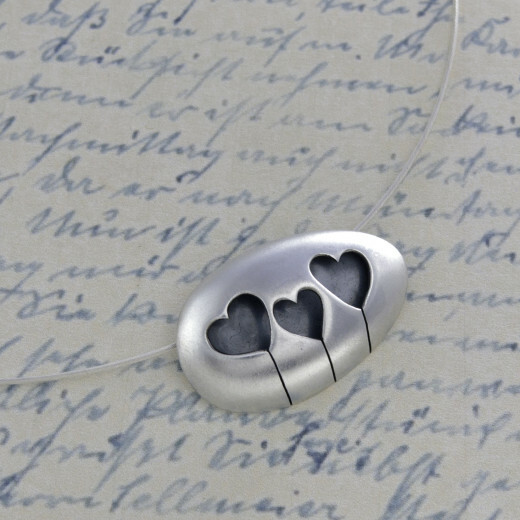 I love them all but I think my favourite is the Enduring Love Heart Necklet with the dark back. 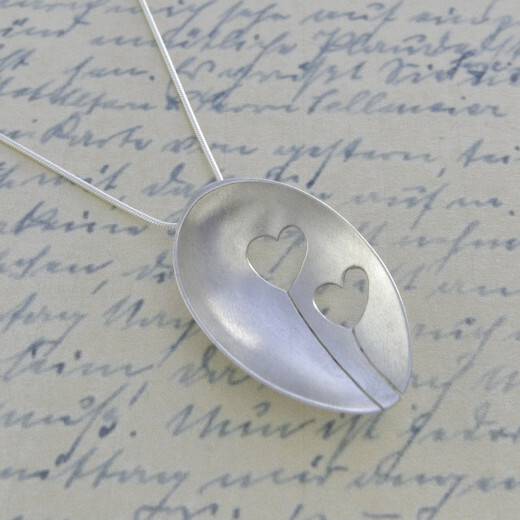 I rather like the necklets too but I do love the simplicity of a one heart pendant too.